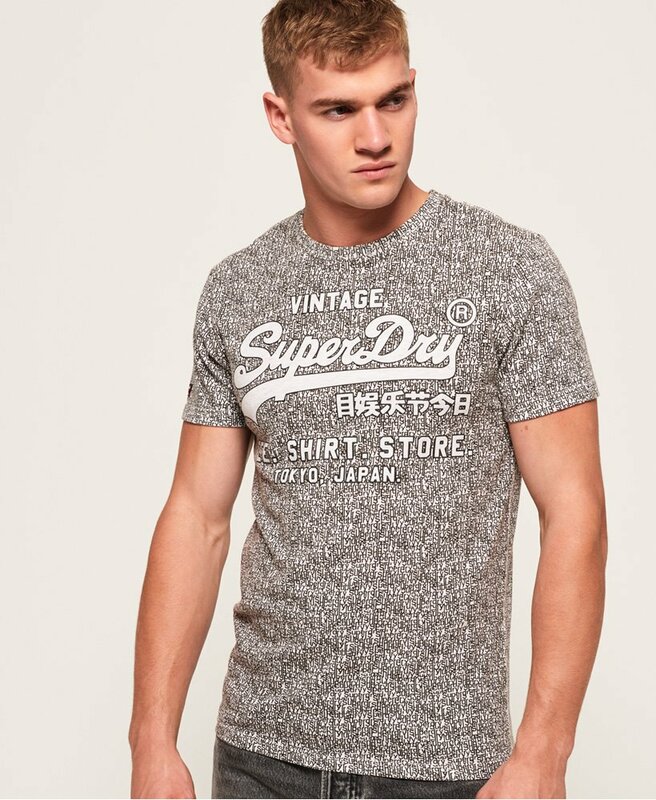 Superdry men’s Shirt shop t-shirt. Update your t-shirt collection this season with the Shirt shop t-shirt, featuring a crew neckline, a subtle textured Superdry logo across the chest and a Superdry patch on the sleeve. This tee has been crafted for easy, stylish everyday wear making it a perfect investment for your wardrobe.